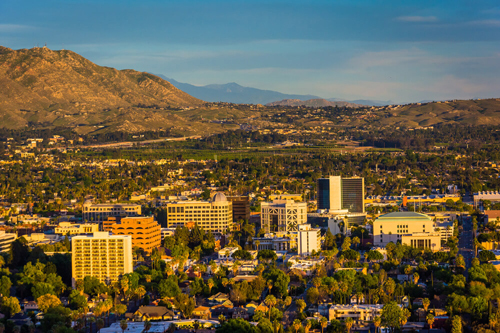 When you are on the road seeing relatives, conducting business, or in California for the holidays, you can now rest assured that finding a 24 Hour Dentist Citrus Heights Ca is just as simple as dialing a quick phone call! Emergency Dentists USA is an excellent and savvy portal where you can locate the closest after hours dentist if you are just fine one minute, but overcome with unbearable abscess or cracked tooth pain the next. When you call our 24 hour a day 7 day week hotline, its going to make you happy that a late night dentist or urgent care clinic will be consulting with you quickly. We have used our resources and contacts to make up a list of dentists across the country who are trustworthy, and Citrus Heights is included in that network! We want you to be seen as quickly as possible for your pain; if you are unable to reach a dentist from this list immediately, we also provide a hotline for you to that serves as a referral service so you can rapidly locate a Citrus Heights emergency dentist when your plans are drastically altered with a gum or tooth issue. There is nothing as maddening as trying to get through a business presentation or family outing and having tooth pain take your concentration from what’s most important to you. Part of the Sacramento-Arcade Statistical area, this is an area that many love for it’s dry climate and mild winters. Home to iconic artist Kelley Jones, it is a popular stop along well traveled Interstate 80. 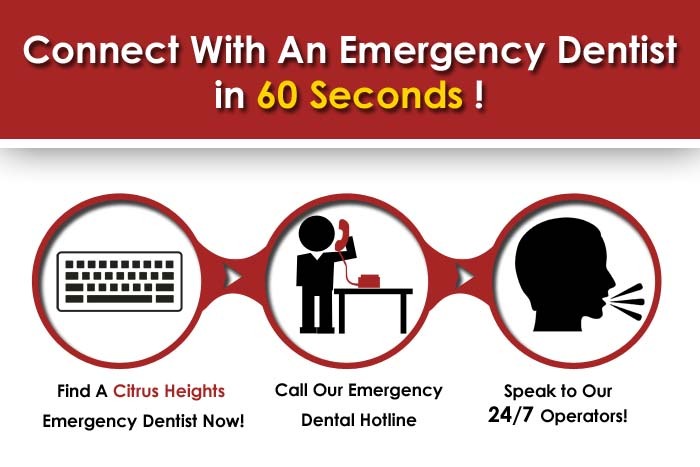 These Citrus Heights dentists have been vetted by Emergency Dentists USA, and will be there to help you if you encounter a dental emergency after hours. If its not possible for you to connect with any of these dentists right away, don’t hesitate to call our late night dentist emergency hotline! Description: You can call 24 hours a day and 7 days a week to get in touch with an emergency dental clinic near you. We don’t want a birthday party, professional meeting, or family reunion gone awry when the need for a dentist to see you sneaks up by surprise, especially if its on Saturday or Sunday. Description:Listed as a weekend dentist, Auburn Dental in Citrus Heights is located right off of I 80 and Antelope Road. This is known as a very warm and optimal family atmosphere, ran under the care of Dr. Olga Piklova who has over 30 years of collective experience in the dental realm with patients of all types. Root canals, extractions, crowns and bridges, and other emergency dentist services are offered here, by a clinic known to take 4 star care of it’s patients every day. Description:Listed as a Citrus Heights emergency dentist, this is a great clinic if you are all of a sudden experiencing pain that may lead to the need for a repair or extraction. Dr Nguyen is a graduate of the University of Southern California, where she received two different awards for clinical excellence, and even graduated at the top of her class. Most years she takes 20 hours above and beyond the regular continuing education requirements, and truly loves being part of a medical outreach in this lovely California community. Description:Listed as a late night dental clinic in Citrus Heights, Wayne has over 28 years of dental experience in the Sacramento area. His expertise lead him to teach at the Scottsdale School Of Dentistry, and he enjoys in his down time photographing the beautiful area he lives in and riding motorcycles through the desert. An exceptional choice if sudden pain or infection leave you clueless and distraught, Wayne Riggert is a standout emergency dentist selection for the area. The home of Major League Baseball catcher Bill Conroy and the beautiful Stock Ranch Nature Preserve, Citrus Heights is a prime destination in the inland area of this sunny west coast state. If sudden tooth pain deals you the hand of being incapacitated instead of enjoying everything this city has to offer, we would love to be the ones to help you find an emergency dentist in Citrus Heights CA . If you want to check up in detail the dentist you plan on visiting, you can visit The California Dental Association .